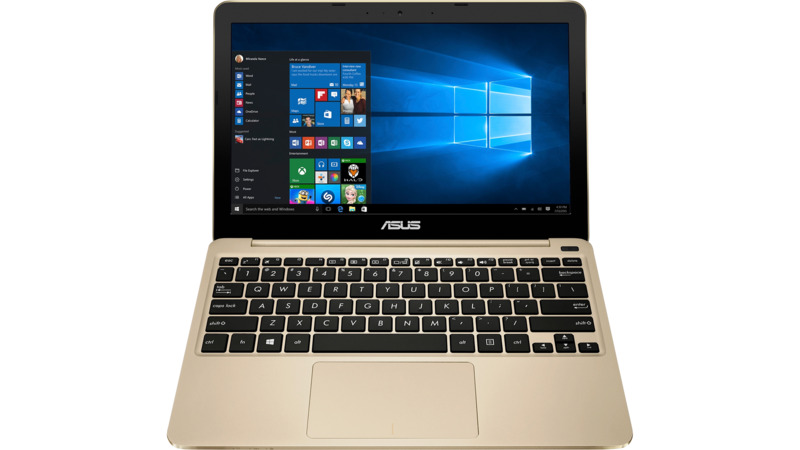 Cheap but effective, the Asus VivoBook E200HA has plenty of compromises – but it provides adequate performance, long battery life and looks far smarter than you’d expect for its price. Positive: Compact size; high mobility; decent performance; long battery life. Negative: Mediocre hardware. Positive: Compact size; lightweight; decent hardware; high autonomy. Negative: Poor display. 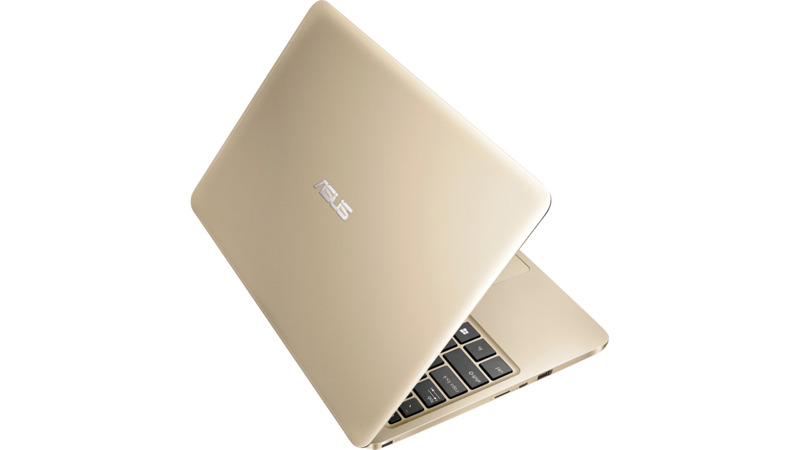 Asus E200HA-FD0041TS belongs to the entry range of the Taiwanese company's 11.6-inch notebooks. 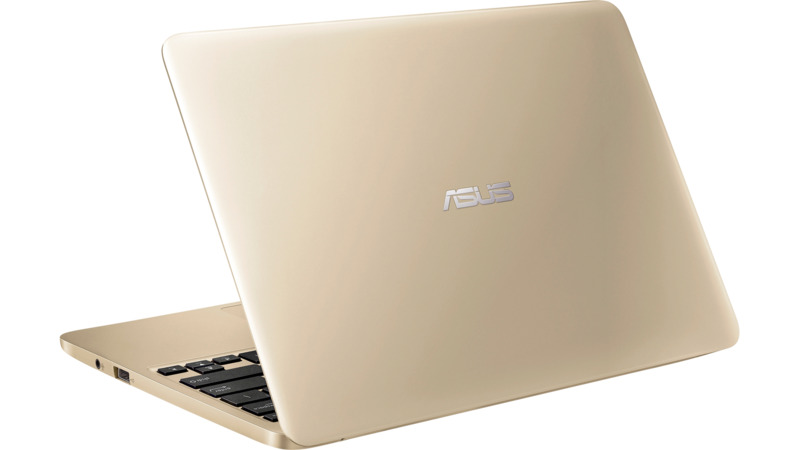 ASUS has designed the Vivobook E200HA to meet a very challenging price point and has made a fair stab at the task. It's the kind of computer that a user can drop into a messenger bag or small rucksack with ease, and they will barely notice it's 0.98kg weight. It is competing against options such as the HP Stream 11 or Lenovo Ideapad 110s series. It makes an excellent choice for those users who are looking for a cheap laptop to perform basic tasks and take it home. 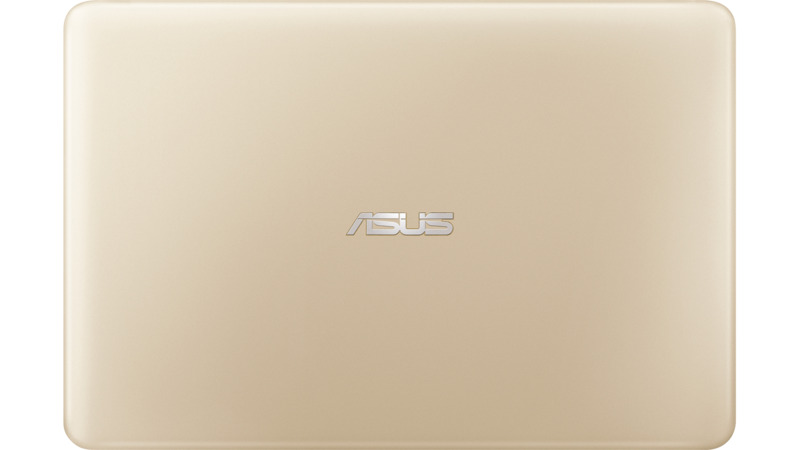 This model makes use of Intel's low range processor, the Atom x5-Z8350, a model of the Intel Atom Cherry Trail which has a maximum consumption of only 2W. It consists of 4 cores, has 2 MB of cache and works with a maximum frequency varies between 1.44 GHz and 1.92 GHz with boost. It is still a processor designed to perform basic tasks such as office work, surf the internet or play multimedia content. To install programs, a user will have an internal eMMC memory of 32GB. However, only half of the capacity will be available for the end user. The rest of the storage is used by operating system. Luckily, a user gets 500TB of ASUS WebStorage for two years and can use other cloud platforms as well as external physical storage. For memory, 2GB of DDR3L RAM is soldered to the motherboard. As for graphics, it features integrated graphics which is the Intel HD Graphics 400 which is certainly not made for heavy-duty workloads. The display's 16:9 aspect ratio makes this laptop well suited to watching movies. Its 11.6-inch screen sitting in a chassis that measures 28.6cm by 19.33cm by 1.75cm. 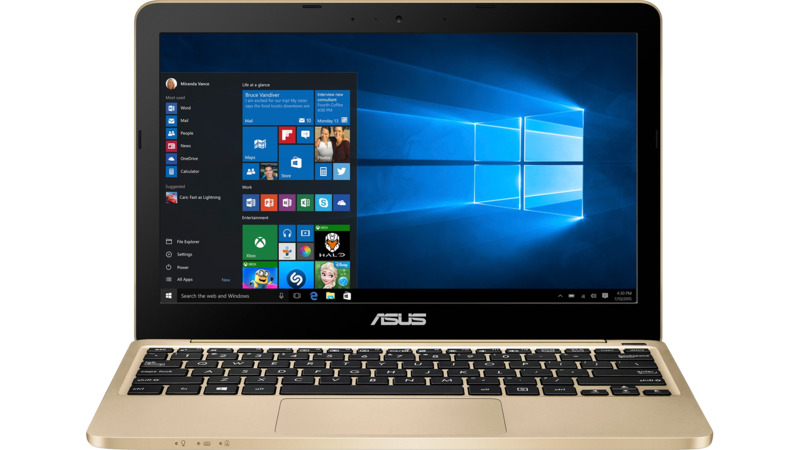 ASUS's Splendid technology automatically fine-tunes the display depending on what user is viewing to deliver the best color support. On the chassis, white plastic is the material used in the construction of the case. If a user cares about keeping this laptop looking good then it will need some sort of sleeve, as its plastic shell is easily scratched. The low consumption of internal components allows the use of a passive cooling system. The gum type keyboard offers a good touch when writing. As for the battery, the integrated 2-cell 38-watt capacity battery will allow the user to reach the 12-hour basic use of the device. For the operating system, the laptop came with Windows 10 Home pre installed. The connectivity is basic with a USB 3.0 port, another USB 2.0, a wireless adapter with 802.11a/b/g/n/ac Wi-Fi and Bluetooth 4.1. It also features an entry 0.3-megapixel webcam. The Vivobook E200HA is a very basic laptop which is probably targeted at school students. Positive: Good price; attractive design; slim size and light weight; comfortable keyboard. Negative: Poor display; average performance. Positive: Light weight; compact size; high autonomy; good connectivity. Negative: Weak hardware. Only some 3D games with very low demands are playable with these cards. Intel HD Graphics (Cherry Trail): Integrated graphics card in the Cherry-Trail SoCs. Based on a Broadwell GPU (Intel Gen8) and supports DirectX 11.2. Depending on the SoC offers 12 or 16 EUs.» Further information can be found in our Comparison of Mobile Graphics Cards and the corresponding Benchmark List. Z8300: Soc with an integrated quad core Atom processor clocked at 1.44 - 1.84 GHz, an Intel HD Graphics GPU and a dual channel LPDDR3-1600 memory controller.Z8350: Soc with an integrated quad core Atom processor clocked at 1.44 - 1.92 GHz, an Intel HD Graphics GPU and a dual channel LPDDR3-1600 memory controller. Mainly, bigger-sized tablets and convertibles weigh as much. 81.5%: This rating should be considered to be average. This is because the proportion of notebooks which have a higher rating is approximately equal to the proportion which have a lower rating.» Further information can be found in our Notebook Purchase Guide.